I believe you guys have become pretty influenced by the pallet wood recycling so far. And why you won’t be? This is such a creative and constructive activity for sure. It gives a lot of pleasure to the pallet lovers as they always end up making some exceptionally great product and they use it in their practical lives and gather the appreciation from all nukes and corners. 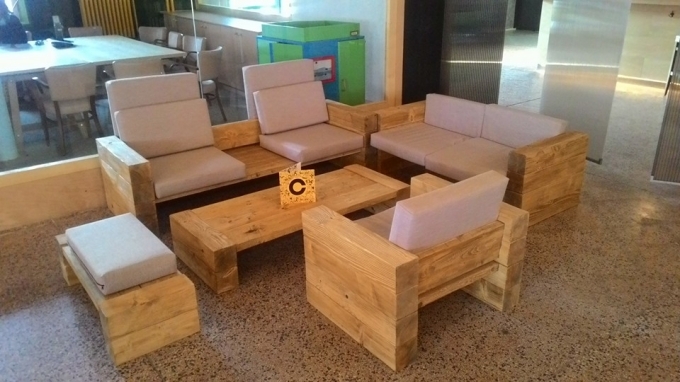 And just for you, we keep bringing such exciting ideas, like today’s wooden pallet couch set is gain one of them that is going to give you guys the real bliss. 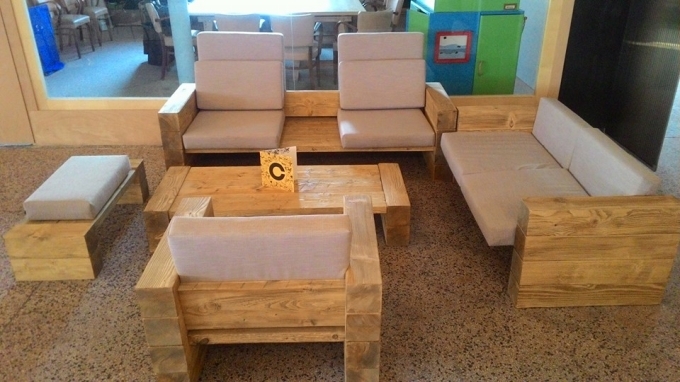 We have already worked a lot on number of wooden pallet creations, and a large number of pallet made sofas were also there. But this is the prime quality of our projects that all of them differ from each other. We always design them with some new and distinguished feature. Sometimes their design is adorable, sometimes color scheme becomes the centre point, and sometimes their multi purposed nature makes them commendable. 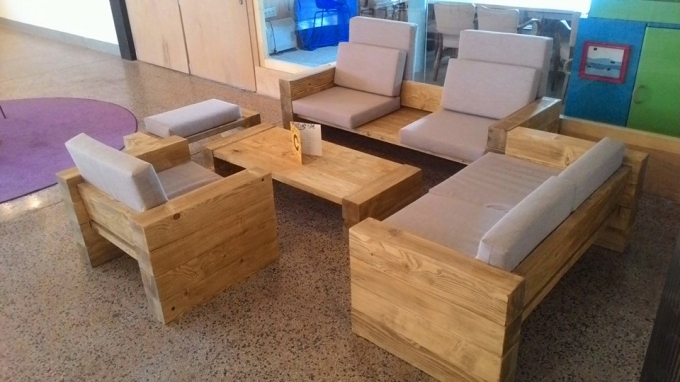 Same would be the case with this wooden pallet couch set. We have mainly focused on its unique design and rustic color especially that would literally make you surprised and astonished. This is not a mere single couch set but a whole range of sitting arrangement that carries a traditional pallet wood bench, five seater sofa, and there is also a centre coffee table that is massively complimenting the entire set up. Just look at its elegant design and shape, its sharpened corners and huge seating space is giving it a royal look. Despite of its rustic color it still holds its own specific charm and charisma. And above all making it is so damn handy, and you can make it just with some minor expenses, just don’t worry about the finances at all.